I have been on a quest for blue sea glass for years. You might even say that I am a bit obsessed with it. It’s a lot harder to find than you might think. Oh, there is plenty of green and brown glass and clear bits of broken beer and soda bottles which line our shores but blue is as elusive and as ethereal as the seafoam which floats through your toes. Which is why I was delighted with a beach stop, off the beaten path, of Italy’s very blue Amalfi Coast. I had driven by this spot many times over the years. Actually, it was more like driving over it since La Costiera Amalfitana snakes its way through the mountains which hover over the shore below. This day, a dear friend suggested we park precariously along the road and climb the steps to the beach below where locals gather at Fiordo di Furore. 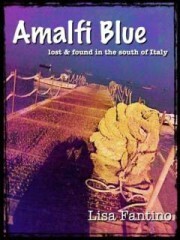 What I discovered was a treasure trove of Amalfi Blue sea glass. 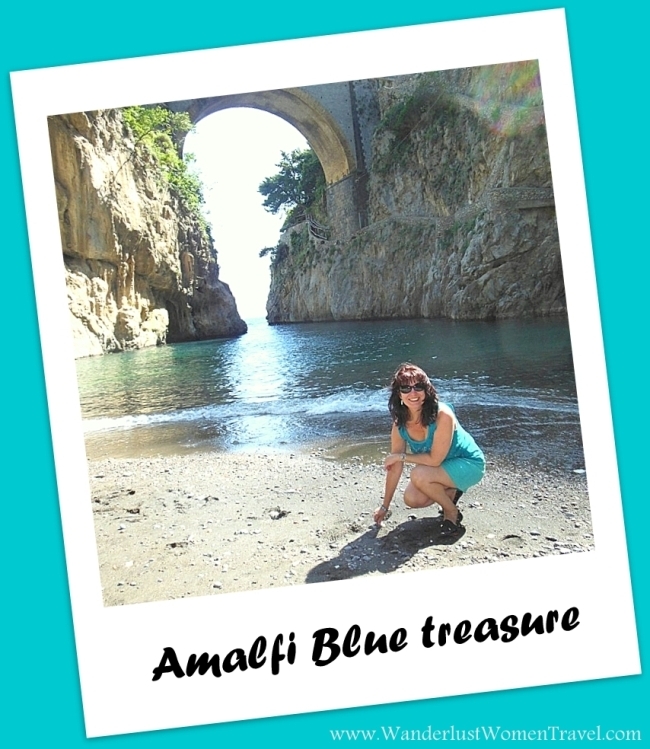 There were bits of royal, blue and aqua chips just glistening at my feet, sparkling in the warm summer sun, making this girl smile at the realization that there is true magic in Amalfi Blue. Let our Amalfi Coast travel specialist help plan your dream journey! You now have me wondering if I’ve seen blue sea glass. I suppose the greens and browns are more common because many glass bottles are that color. Amalfi seems like a beautiful place to find it. I really want to go check out the Amalfi coast. Its so gorgeous! Would love to see the glass you saw.